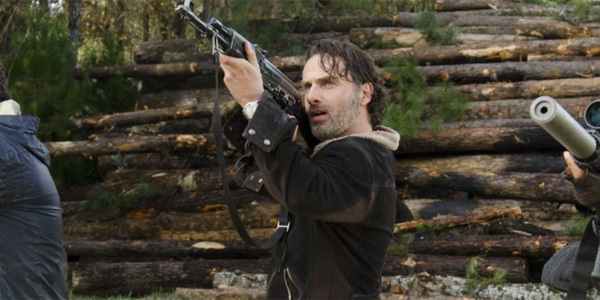 Warning: spoilers ahead for the finale of Season 6 of The Walking Dead are in this story. Read at your own risk. I’ve known for a while what is in 701 and presenting what occurs and to show what happened in full force. It is the beginning of the next story. The two – the showing of, it’s an incredible work of gore by Charlie Adlard in the book, how we show that on TV – I’m certain that we’ll be pushing some boundaries with it. Things are going to start off very, very, very dark because everybody knows where we’re starting, but that won’t be the whole season. Well, at least there’s one person who won’t be spending the summer scrounging for spoilers and Zapruder-ing the final scene for clues about who’s dead. Scott Gimple’s chat with Comicbook.com reveals that he knows for sure how he’s going to kick off Season 7. That's reassuring in the sense that the team behind The Walking Dead isn't just winging it, but it also kind of throws salt in the very open wound. After all, the Season 6 finale denied us an answer about the big death. Gimple’s certainty that the Season 7 premiere will push boundaries does bode well for fans. Given the show has already shown an elderly man getting decapitated, a blood-covered little girl smiling over the corpse of her sister, and the bloodbath midseason premiere that cost Carl an eye and the Anderson clan their lives, The Walking Dead really must not be pulling any punches with the fallout of Negan’s kill. Those of us who have stuck around for six seasons can probably handle whatever gruesomeness awaits us in Season 7. Besides, if we had to sit through Rick’s lukewarm courtship of Jessie, we deserve to see just what Negan did and why it was worth keeping us worrying all summer. Of course, that’s assuming that some of us still have the will to worry by the time that Season 7 gets around to premiering next fall. A cliffhanger such as concealing who got a face full of Lucille might be fun to dissect for a little while, but the wondering is likely to be frustrating sooner or later. For a look at what details have been released of what’s coming next for The Walking Dead, check out our breakdown of what we know about what Scott Gimple will be bringing us when Season 7 finally kicks off.